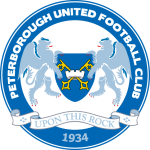 Peterborough vs Coventry predictions for Saturday’s League One fixture at ABAX Stadium. After losing two on the bounce, the hosts need to bounce back. Continue reading below for all our free tips and predictions. Peterborough did spend a large portion of the season inside the top six, though they’ve now been outside of the play-off places for a while and it’s looking more and more likely that Posh will miss out. They are only a point behind Doncaster, though they’ve played one game more and haven’t looked like mounting a serious challenge of late. There wasn’t a great deal to like about the way that Peterborough lost at Wimbledon on Tuesday night; losing is never pleasing, but positives can often be taken in defeat, though that wasn’t the case for Posh at Kingsmeadow. Darren Ferguson’s men weren’t great going forward, while the fact that they struggled to contain a Wimbledon side that often finds it tough to get going offensively is worrying. On Tuesday evening, they shipped 2.2 expected goals, so they were somewhat lucky to get away with just a single-goal defeat. A red card didn’t help, though Ferguson’s men did have the full compliment of players until the 85th minute, so the sending off was hardly an excuse. Giving too much away at the back is becoming a habit for Peterborough. It is now five matches since Posh kept a clean sheet, while they’ve shipped a total of ten goals in their last four. Despite scoring in all but one of their last six, they’re not exactly flourishing in the final third either. Peterborough currently boast an average of just 1.29 expected goals for, which simply isn’t good enough when they’ve surrendered an average of 1.6 at the other end. Unless things improve, then the play-offs will soon become a distant dream for Darren Ferguson’s side. In contrast, Coventry, who’ve also got their eyes on sneaking into the play-offs, have managed to get some decent results of late. They’ve won four of their last six and have lost just once during that time. Moreover, the Sky Blues are unbeaten in three on their travels, where they’ve recently beaten both Rochdale and Accrington. They also held the current league leaders to a draw. To be quite honest, Coventry have performed better on their travels than Peterborough have at home this season, so much so that they appear to have been slightly underestimated in the early betting. If we look at the underlying numbers, then it really is easy to side with the visitors at the current prices. Coventry are averaging 1.49 expected goals for on their travels, while Peterborough are averaging 1.11 at home. Similarly, the Sky Blues have conceded an average of just 1.14 expected goals on the road, while Posh have shipped an average of 1.58. 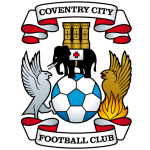 Backing Coventry to come out on top represents a slice of sought-after value. Peterborough currently boast an average expected goal difference of -0.47 at home in League One. On their travels in League One, Coventry have an average expected goal difference of +0.35. Peterborough currently rank as the fifth worst team in League One in terms of shots on target at home. Coventry currently rank as the seventh best team in League One in terms of shots on target on the road.